I love trying out new products and lately have been more conscious of using products that are organic and cruelty free - must be my vegan housemate rubbing off on me! 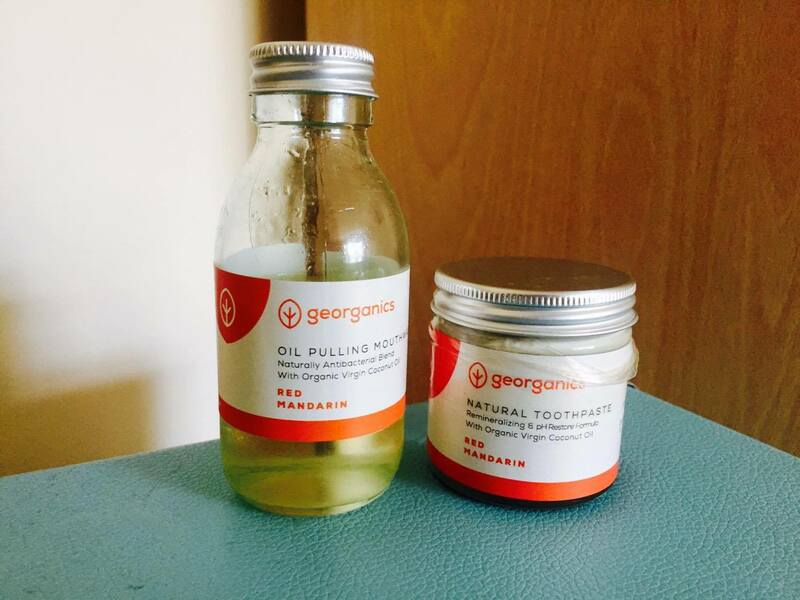 I've always stuck to using Colgate toothpaste but was quite intrigued by Georganics natural oral care products and I've been seeing the words 'oil pulling' been thrown around on social media a lot lately, so wanted to try it out for myself and see what all the hype was about! Georganics supplies a range of natural toothpastes and oil pulling mouthwashes that come in a variety of flavours and very cute packaging. 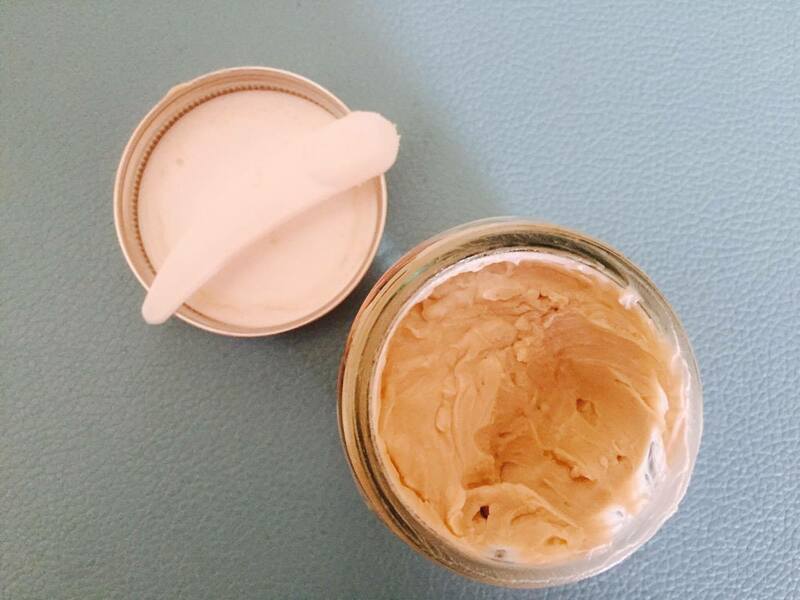 It is filled with steam distilled essential oils and comes in a clay like format and made with important minerals to remineralise your teeth. The oil pulling mouthwash is an ancient tradition remedy and is great for whitening your teeth naturally and drowning out toxins. Oil pulling is also meant to be great for killing bad breath, strengthening gum, reducing inflammation and healing cracked lips. You're advised to use a pea-sized scoop of toothpaste and brush your teeth as normal for 2-3 minutes, then leave the 'product' in your mouth for a further minute. You then take the mouthwash and swish it around your mouth for 10-20 minutes and finish the process by drinking a glass of luke warm water. At first I didn't know how well I was going to stick to this, I get up half an hour before I need to leave the house and if 20 minutes had to be taken up by my oral hygiene routine then I'd be a very hungry Giana at university. I think this is fine to do in the evenings and when I'm not in a rush to be anywhere in the morning, but I guess with everything it's just getting into a routine! As for the product itself, the consistency of the toothpaste was a bit strange at first but more 'fun' than your regular toothpaste. The red mandarin isn't very noticeable but it's not an unpleasant taste. As for the mouthwash, it pretty much tastes like coconut oil which I am a fan of anyway, so swashing this around my mouth for 10 minutes wasn't as hard as I thought it was going to be, just make sure you're not expected to answer any phone calls in the time being. If you'd like to get your hands on their products then head to their website here - if you've tried this already I'd love to know what your thoughts are on the product! *This product was kindly sent to me for review but all views and opinions are my own. definitely have a look at their range of flavours available!